Ron Capps earned the 61st win of his career after going 3.890 at 331.20 in the final round in his NAPA Auto Parts Dodge Charger R/T to defeat J.R. Todd, who slowed to a 4.311 at 214.96 in his DHL Toyota Camry. Capps, the 2016 champion, earned his third career victory at zMAX Dragway and advanced to the final round with victories over Dale Creasy Jr., defending champion Robert Hight and Tim Wilkerson to stay in title contention. 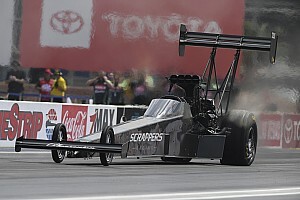 “To throw down those speeds and E.T.s when we needed it was very cool,” said Capps, who moved to third in points. “You’ve just got to be up for everything and I was just so glad that we did what we talked about doing. Points leader Steve Torrence remains unbeaten in the Countdown, and has thus become the first nitro driver to win the first four races in NHRA’s playoffs. His 3.703-seconds at 329.67 mph in his Capco Contractors/Torrence Racing dragster was enough to defeat defending TF champion Brittany Force in the final round, earning his ninth win of 2018 and 25th in his career. 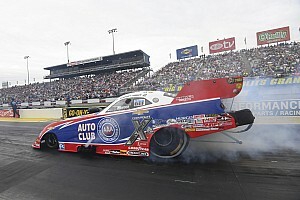 In sweeping both races at zMAX Dragway this season – the other being the Four-Wides – Torrence has opened up a commanding 169-point lead over Clay Millican with two races remaining in the season. “It’s been truly unbelievable for us to go out and accomplish what we’ve done,” Torrence said. “It’s truly remarkable. I did my job today, but it’s a team and it takes the whole village to make this machine work. Force’s second final round this season in her Advance Auto Parts/Monster Energy dragster came thanks to victories against Audrey Worm, Dom Lagana and Mike Salinas. Jason Line grabbed his first victory of the season and 48th in his Pro Stock career after going 6.531 at 211.89 in the final round in his Summit Racing Equipment Chevrolet Camaro to knock off points leader Tanner Gray. Line, a three-time PS champion, became the 10th different winner in Pro Stock this season, and has also now secured at least one victory in 15 consecutive seasons. He beat defending champion Bo Butner, Jeg Coughlin Jr. and Drew Skillman to reach the finals. Gray, who had won two straight races and has seven this season, reached his 10th final round this year in his Gray Motorsports/Valvoline Camaro by defeating Alan Prusiensky, Alex Laughlin and Erica Enders. The second-year star also extended his lead to 130 points over Coughlin. Matt Smith retook the PSM points lead after his third victory of 2018 and 21st of his career with a run of 6.830 at 196.64 on his Elite Motorsports Denso Auto Parts EBR against Chip Ellis. The points lead changed hands for the fourth straight race as Smith, a two-time champion, jumped back into the lead for the second time during the Countdown to the Championship. He beat Karen Stoffer, Scotty Pollacheck and Angelle Sampey to reach his third final round in the playoffs, giving Smith him a 41-point advantage over LE Tonglet. TOP FUEL: 1. Steve Torrence; 2. Brittany Force; 3. Tony Schumacher; 4. 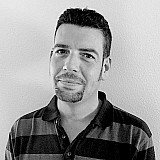 Mike Salinas; 5. Clay Millican; 6. Dom Lagana; 7. Doug Kalitta; 8. Leah Pritchett; 9. Antron Brown; 10. Richie Crampton; 11. Terry McMillen; 12. Scott Palmer; 13. Chris Karamesines; 14. Audrey Worm; 15. Kyle Wurtzel; 16. Pat Dakin. Final: Steve Torrence, 3.703 seconds, 329.67 mph def. Brittany Force, 3.708 seconds, 329.26 mph. FUNNY CAR: 1. 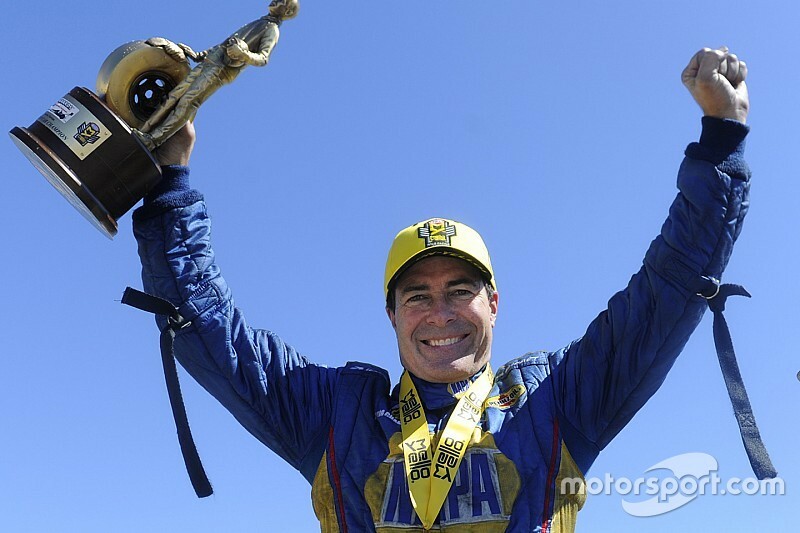 Ron Capps; 2. J.R. Todd; 3. John Force; 4. Tim Wilkerson; 5. Matt Hagan; 6. Cruz Pedregon; 7. Robert Hight; 8. Dave Richards; 9. Jack Beckman; 10. Jonnie Lindberg; 11. Dale Creasy Jr.; 12. Courtney Force; 13. Bob Tasca III; 14. Tommy Johnson Jr.; 15. Jim Campbell; 16. Shawn Langdon. Final: Ron Capps, Dodge Charger, 3.890, 331.20 def. J.R. Todd, Toyota Camry, 4.311, 214.96. PRO STOCK: 1. Jason Line; 2. Tanner Gray; 3. Erica Enders; 4. Drew Skillman; 5. Jeg Coughlin; 6. Alex Laughlin; 7. Vincent Nobile; 8. Bo Butner; 9. Fernando Cuadra; 10. Wally Stroupe; 11. Shane Tucker; 12. Alan Prusiensky; 13. Deric Kramer; 14. Greg Anderson. Final: Jason Line, Chevy Camaro, 6.531, 211.89 def. Tanner Gray, Camaro, 6.534, 211.43. PRO STOCK MOTORCYCLE: 1. Matt Smith; 2. Chip Ellis; 3. Angelle Sampey; 4. Jerry Savoie; 5. Eddie Krawiec; 6. Andrew Hines; 7. Scotty Pollacheck; 8. Angie Smith; 9. Hector Arana Jr; 10. Hector Arana; 11. Steve Johnson; 12. LE Tonglet; 13. Joey Gladstone; 14. Karen Stoffer; 15. Jim Underdahl; 16. Ryan Oehler. Final: Matt Smith, EBR, 6.830, 196.64 def. Chip Ellis, Harley-Davidson, Foul - Red Light. TOP FUEL: 1. Steve Torrence, 2,592; 2. Clay Millican, 2,423; 3. Tony Schumacher, 2,382; 4. Leah Pritchett, 2,297; 5. Antron Brown, 2,253; 6. Brittany Force, 2,243; 7. Mike Salinas, 2,228; 8. Doug Kalitta, 2,225; 9. Terry McMillen, 2,221; 10. Scott Palmer, 2,149. FUNNY CAR: 1. Robert Hight, 2,445; 2. J.R. Todd, 2,434; 3. Ron Capps, 2,336; 4. Tim Wilkerson, 2,334; 5. Tommy Johnson Jr., 2,296; 6. Courtney Force, 2,264; 7. John Force, 2,241; 8. Matt Hagan, 2,229; 9. Jack Beckman, 2,204; 10. Shawn Langdon, 2,152. PRO STOCK: 1. Tanner Gray, 2,509; 2. Jeg Coughlin, 2,379; 3. Vincent Nobile, 2,373; 4. Drew Skillman, 2,356; 5. Erica Enders, 2,338; 6. Greg Anderson, 2,299; 7. Jason Line, 2,291; 8. Bo Butner, 2,186; 9. Deric Kramer, 2,168; 10. Chris McGaha, 2,096. PRO STOCK MOTORCYCLE: 1. Matt Smith, 2,426; 2. LE Tonglet, 2,385; 3. Eddie Krawiec, 2,370; 4. Jerry Savoie, 2,326; 5. Andrew Hines, 2,291; 6. Hector Arana Jr, 2,288; 7. Angie Smith, 2,221; 8. Angelle Sampey, 2,216; 9. Steve Johnson, 2,209; 10. Scotty Pollacheck, 2,177.